As well as personal falconry courses and experience days we also attend private or corporate event, school or rural shows. 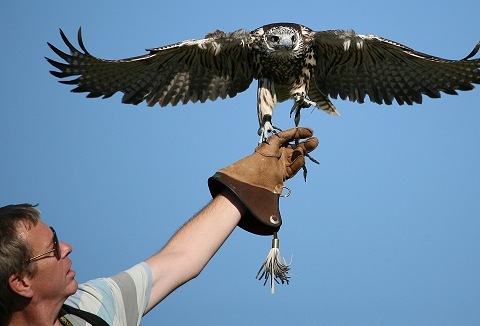 Our falconry display is guaranteed to attract your visitors attention with our range of falcons as they swoop over the crowds heads. See our amazing display team in action with free flying American Bald Eagles, African Fish Eagle, Owls, Hawks and Falcons. 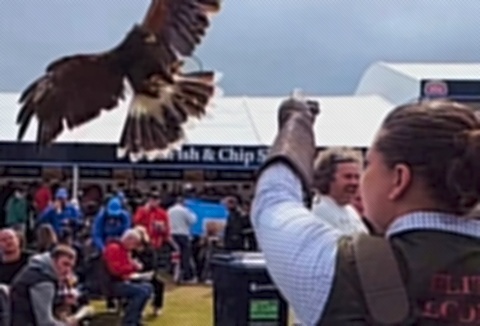 We provide two different twenty minute arena displays, plus a large static display of birds of prey for your event visitors to view. 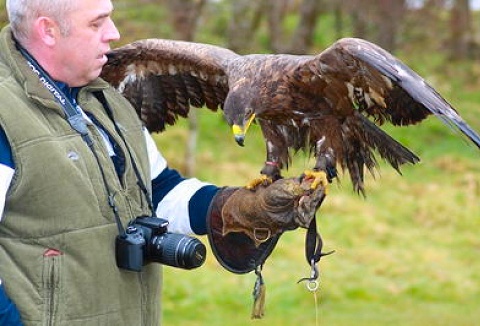 We offer falconry and bird of prey experiences from static to flying displays. We show anything from an English Kestrel, Steppe Eagle, Harris Hawk to a Saker Falcon or the English favourite the Barn Owl. We can attend private, public and corporate days. Whether it's a static display or a thrilling free-flying display, we can cater to your needs. As part of the bird display, we like the public to get involved as much as possible, including handling the birds. Bird of prey displays for events to functions. 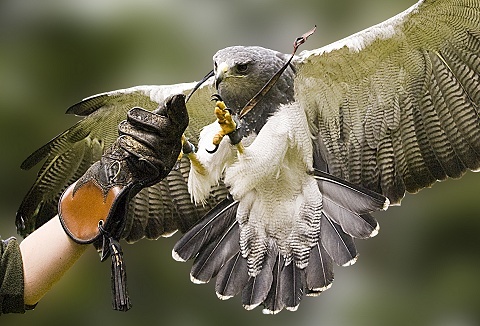 Exciting falconry displays with great audience participation with hawks, falcons, owls and red kites, all adapted to your specific requirements. Also unique displays of falconry from horseback with our fabulous Spanish stallion! Ideal main ring display. 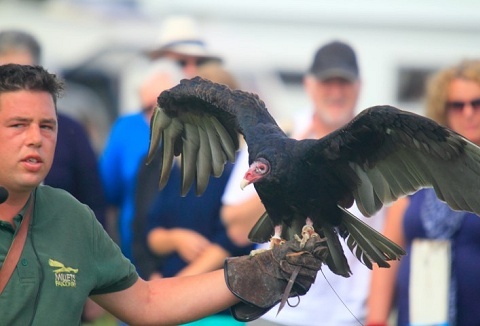 Our elite range of bird of prey flying demonstrations are probably best described as unusual. We have an eagle carrying a backpack camera, which can gather aerial footage of your event. 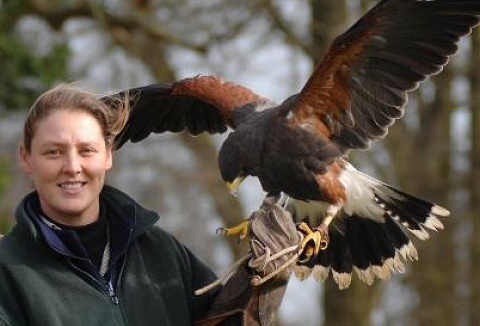 Stately gardens to highland shows with hawks, falcons, eagles & owls.